Behind the door is a geological time bomb, scientists say. No one knows exactly how big the bomb is. It may even be a dud that barely detonates. But the fallout could be so large that it's felt all around the world. Now there's evidence that, in the past few years, the bomb's timer has started ticking. Douglas opens the shed door, and we step inside. 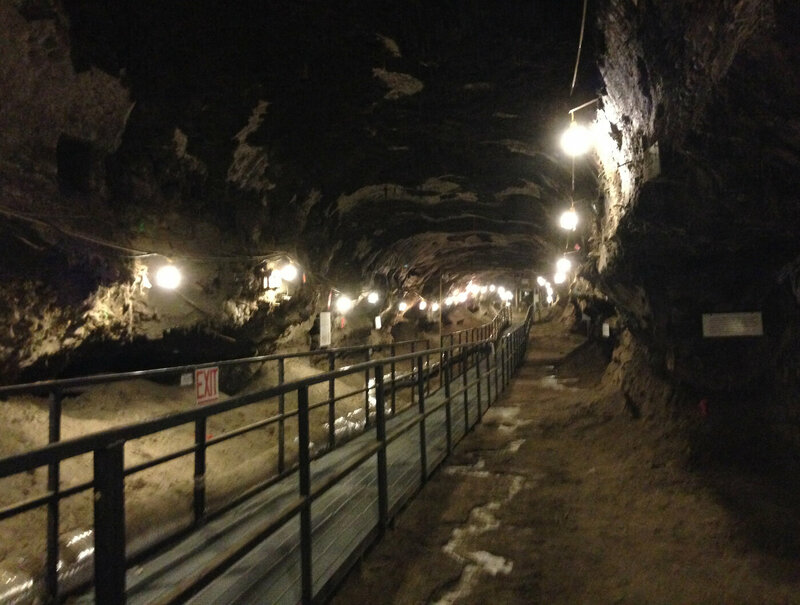 Immediately, we're standing 40 feet below ground, inside a tunnel carved into the hillside. 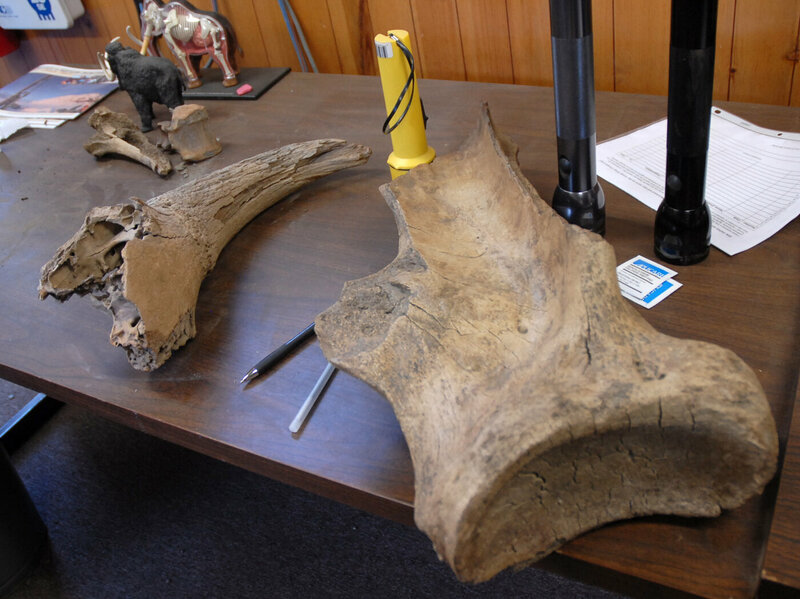 "That's a mammoth leg right there," Douglas says as he points to a giant femur protruding from the tunnel wall. All around are signs of extinct creatures. 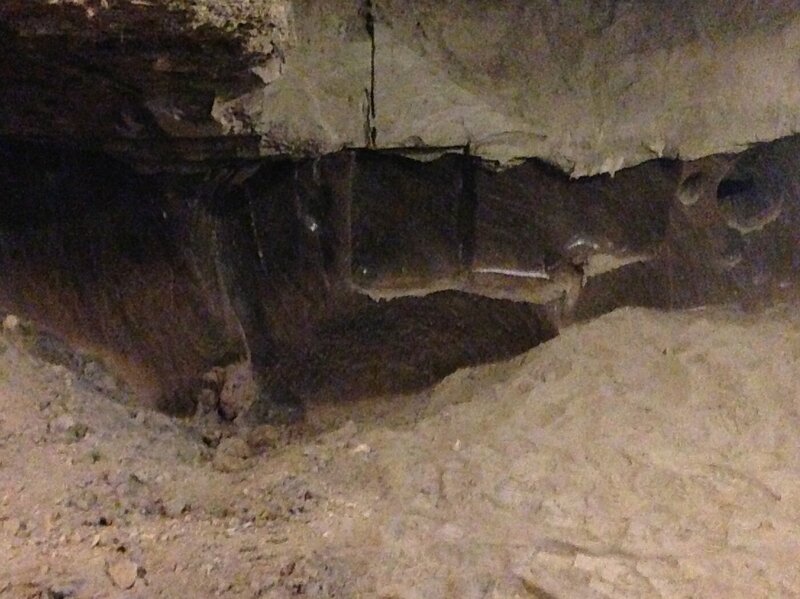 Tusks poke out of the ceiling and skulls stick up from the floor. But it's the material between the bones that interests Douglas the most: the permafrost. 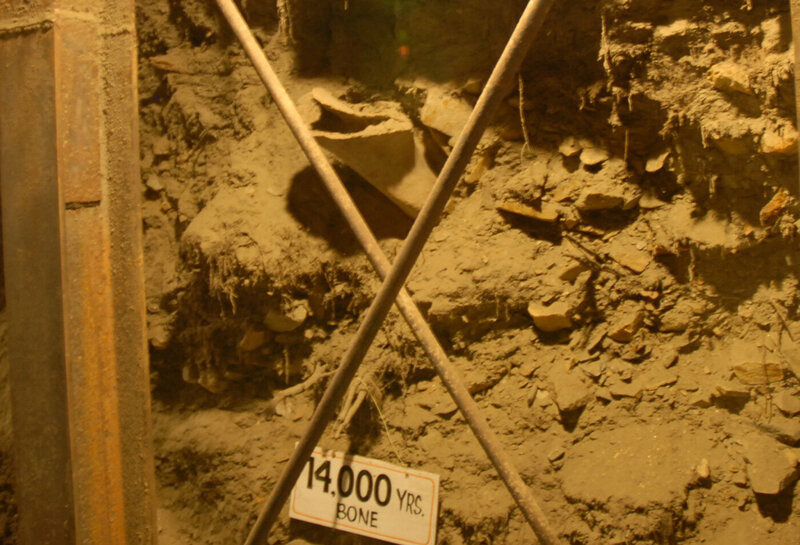 In the 1960s, the Army dug the tunnel so it could study this unique surface, which covers about a quarter of the Northern Hemisphere. In some places, the frozen soil extends downward more than 1,000 feet, or about the height of the Empire State Building. Technically, permafrost is frozen soil. But it's helpful to think of it in terms of chocolate cake. Typically, cake is soft, moist and spongy. Now if you take that cake, dip it into water and freeze it, the cake becomes hard or stiff. That's exactly what happens to soil when you freeze it: Moist, soft soil turns hard and stiff. That's permafrost. For the first time in centuries, the Arctic permafrost is beginning to change — rapidly. It's warming up. Some places are softening like a stick of butter left out on the kitchen counter. "Arctic shows no sign of returning to reliably frozen region of recent past decades," NOAA wrote in its annual Arctic Report Card last year. The consequences of this warming could have ripple effects around the world. To explain why, Douglas takes me deeper down into the tunnel. "This is really an amazing feature," he says, shining his flashlight up to the ceiling. Crispy grass is dangling upside-down above our heads. "It's green grass — from 25,000 years ago," he exclaims. "It has been preserved that way for 25,000 years." The permafrost is packed with the remains of ancient life. From prehistoric grass and trees to woolly mammoths and woolly rhinoceroses, just about every creature that lived on the tundra over the past 100,000 years is buried and preserved down in the permafrost. And all this life is made of carbon. So there's a massive amount of carbon buried down here. "The permafrost contains twice as much carbon as is currently in Earth's atmosphere," Douglas says. "That's 1,600 billion metric tons." In fact, there's more carbon in the permafrost, Douglas says, than all the carbon humans have spewed into the atmosphere since the Industrial Revolution — first with steam trains, then with coal plants, cars and planes. Right now the permafrost carbon is inert and trapped in the frozen soil. But what happens when the soil thaws? That's the question Douglas and his colleagues are trying to figure out. A few years ago, they ran a simple experiment. They brought big drills into the tunnel and cut out chunks of ice. "We collected pieces about the size of Coca-Cola cans," he says, as he points out holes in the tunnel's wall. They took the ice back to the lab and let it slowly come up to room temperature. Then they looked for signs of life. A few days later, something started growing — slowly at first, but then like gangbusters. "This is material that stayed frozen for 25,000 years," Douglas says. "And given the right environmental conditions, it came back alive again vigorously." They were ancient bacteria. And once they warmed up, they were hungry. The bacteria started converting the carbon that's in dead plants and animals into gases that cause climate change: carbon dioxide and methane. That experiment was in the lab. But imagine these bacteria waking up, all around the Arctic, across Canada, Greenland and Russia. Last year, scientists started seeing signs of this happening in northern Alaska. "We have evidence that Alaska has changed from being a net absorber of carbon dioxide out of the atmosphere to a net exporter of the gas back to the atmosphere," says Charles Miller, a chemist at NASA's Jet Propulsion Laboratory who measures gas emissions from Arctic permafrost. Scientists don't know yet how much carbon will get released from thawing permafrost or how fast it will happen. Some of the carbon — maybe a big percentage of it — will get washed into the ocean by erosion. Some of the carbon will also get sucked back into the ground by new trees and plants popping up across the warming tundra. But once carbon begins to percolate up through the thawing soil, it could form a feedback loop "over which we would have zero control," Miller says. The gas, coming from the ground, warms the Earth, which in turn causes more gas to be released and more warming to occur. Thawing permafrost is a big wild card of climate change.